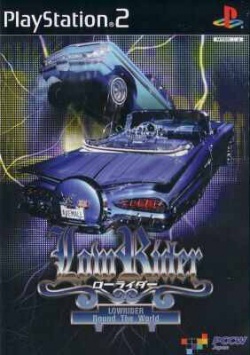 Game description: In Lowrider, winning the crowd can win you a sweet ride. Master the timing and twitch of 18 different cars straight from club-driven car cultures. For a quick fix, select a car that fits your mood, and then choose to hop, dance, or street-style your way to the next round by winning the love of the fans. Or start with a beater and bring it to glory with upgrades in hydraulics, batteries, suspension, and custom paint jobs. USA v02.20(10/02/2006), Tested in the 2 first scenarios,fine.